* hearing Oh Joy! 's Joy Cho discuss her creative process: how she holds onto her vision while collaborating with bigger companies like Target. Rachel Shechtman discussing Story, her revolutionary store concept in NYC that her team curates and changes like a gallery, creating fresh experiences for their shoppers and great opportunities for new makers and never-been-made products. 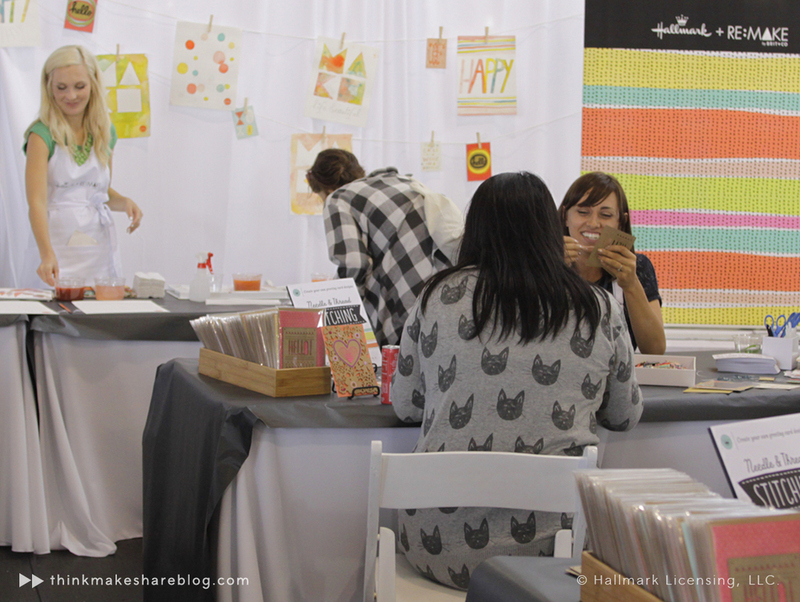 * interacting with the 5000+ attendees who came ready to create DIY projects at the festival. Brit shared a stat that 77% of people feel they've lost their creativity. That number was surprising to me, especially the fact that so many people had identified themselves as creative at some point. Hallmark's booth had three stations: Watercolor lettering, Collage, and Stitching: All of them were packed ALL DAY. I loved to see so many people owning it... diving in & defining themselves as makers…creators…no matter what they did for work. * Learning more about San Francisco phenomenons such as Burning Man & Philz Coffee. Wasn't sure about all the hype about Philz, but wow, they made a believer out of me! * Hallmark began with a man and a shoebox full of cards to sell…we are the little startup spirit fast forward 100 years. It was fun to change some perceptions and remind people that Hallmark is made of makers! Read Hallmark's recap of the event here.